The terrace is in all aspects a part of the house, a space that connects indoors to outdoors. However, illuminated and overheated by the summer sun and subjected to the effects of the weather and low winter temperatures, it is enjoyable only for a few days a year. A pergola for a terrace or roof can transform this space into an open-air living area, enjoyable season after season. Wooden pergolas for terraces are the most popular, because they combine the charm of wood with versatility. Pratic offers two of them: Tecnic Wood and Tecnic Wood Plus. 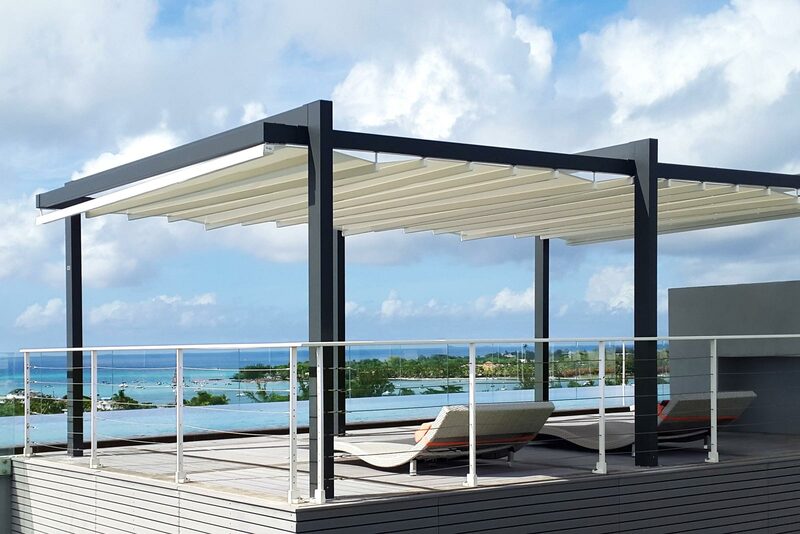 These two models have a laminated Nordic pine structure and a retractable cover system made of either PVC fabric, which provides protection from the sun, wind and rain, or made of shading fabrics. In addition, perimeter closures and LED lighting are provided and are applied to the cover, allowing you to even enjoy the cooler evenings in the open air. Aluminium pergolas for terraces are essential design structures that are characterized by their advanced technology and the immense flexibility they have during the design phase, due to the replicable modules that adapt to different surface areas and to the wide range of available finishes, thirty-eight colours created ad hoc by design and fashion experts. The paints, applied without using solvents, are bright and long lasting, able to withstand the sun, salt and humidity. 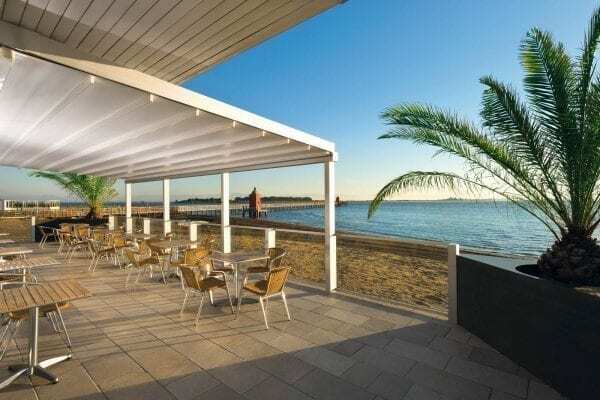 The Opera and Vision bioclimatic pergolas stand out as spectacular and comfortable solutions at the same time. 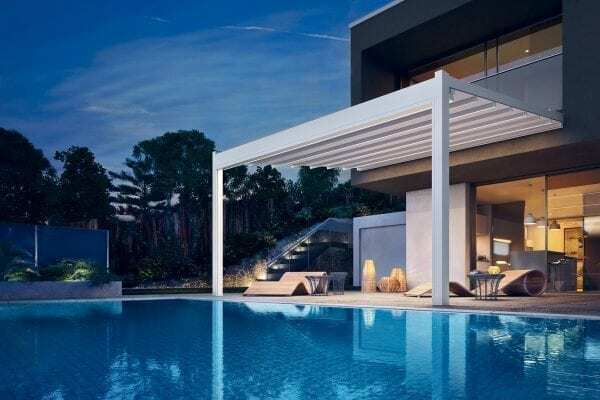 Like the name implies, these pergolas provide ideal ventilation and light conditions inside them, thanks to adjustable blades that exploit sun and wind. 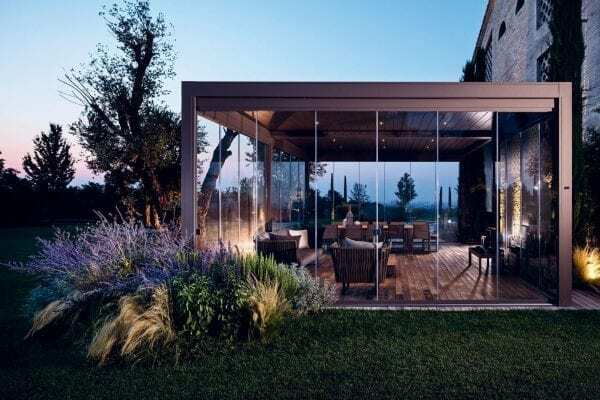 Equipped with side glass windows, these structures even provide shelter from the rain and snow, thus becoming all-season spaces, sophisticated winter gardens from where you can enjoy the view of the landscape or the city. To conclude, the covers for terraces can be chosen as self-supporting, wall-mounted or suspended, based on the available space. 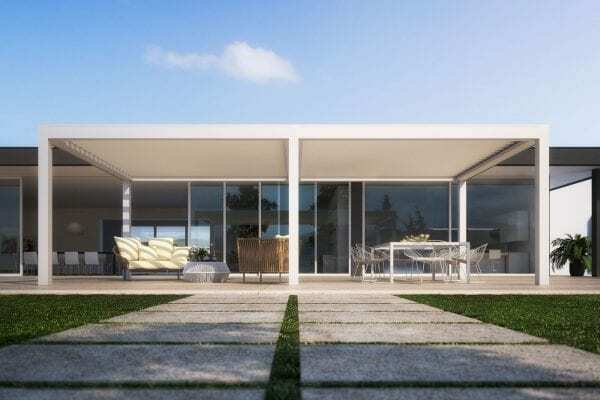 Made with materials that are resistant to damage from regular wear and bad weather, they can be equipped with retractable awnings that let the sunlight filter through when open and ensure the best protection when closed.